Greetings, I am Vivienne McNeny and I believe homeschooling to be a unique experience. I am excited this week to be talking to Renee Tougas who lives on the side of a mountain in the Gaspe Peninsula of Quebec in Canada. She and her husband, Damien, who has a site featuring barefoot and minimalist footwear, homeschool their three children ages 15, 13 and 11. 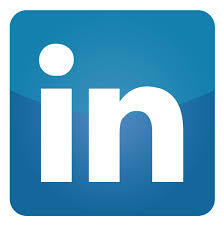 They are location independent, which means they can both work from home wherever they are. Together they are a family of outdoors enthusiasts, artists, adventurers, programmers, homemakers, and followers in the way of Christ. Renee is self confessed creative spirit with a practical perspective and down-to-earth approach. She excels at getting things done and managing the details but doesn’t forget to smell the daisies by appreciating and capturing the beauty around her. However, that’s not why I’m excited to feature Renee on my show this week. Last month I managed to record a conversation we had before things got too busy for her to take a break in her local café to chat with me. Too busy doing what you may ask? 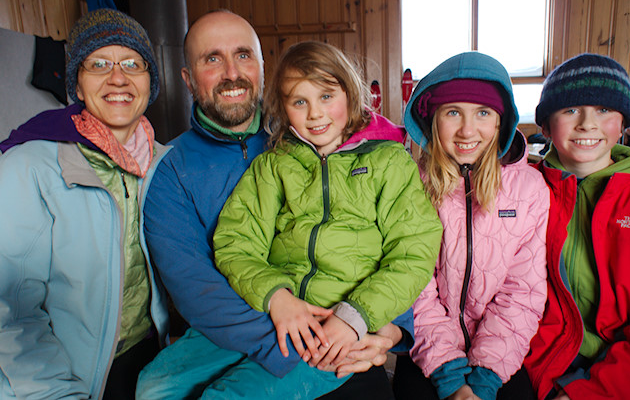 Renee and her family are preparing for the adventure of a lifetime, thru hikingthe Appalachian Trail and making a video series for us to join them virtually! I’ll let Renee tell you all about it herself this Friday so bring a cup of tea to my show and get to know this fascinating woman whose blog is an acronym for Fun in My Back Yard. Hello I'm Vivienne McNeny, English to the core and I've just put the kettle on so while its boiling let me tell you a little about myself. I was raised in a convent boarding school while my parents diplomatically hosted cocktail parties at foreign Embassies. After performing in operettas as leading men and prima ballerinas I read child psychology at London Uni; flipped my speedboat while racing in the channel; taught windsurfing and water ski-ing in Southern Andalucia; an American fell in love with me in London and I took up homeschooling in Texas before our children were too old to object. 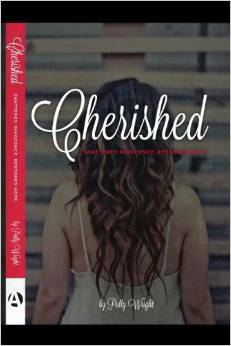 As a young college student, Polly Wright found herself taking off her clothes for men and money. This is the story of how a very real enemy waged a very real war against this incredible woman from the time she was very small. It's the story of how the lies he spoke to her became her truths, leading her into the darkest of places and the most difficult of times. And it's the story of a woman and her Savior. It's a story of healing and wholeness, truth and discovery. It's the story of a woman, becoming all that she was created to be. 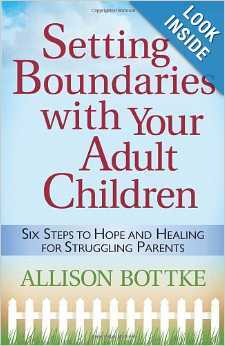 A tough-love book to help readers cope with dysfunctional adult children, Allison Bottke's book will empower families by offering hope and healing through S.A.N.I.T.Y.--a six-step program to help parents regain control in their homes and in their lives. People love to celebrate. Food, family, fellowship, music, decorations, and gifts are all a part of the fun. But holidays can become harried days if we're not careful. 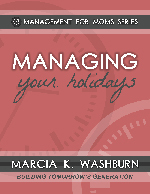 Marcia's latest e-book offers tips and encouragement for celebrating birthdays, Thanksgiving, and Christmas so even Mom can be blessed, not stressed. 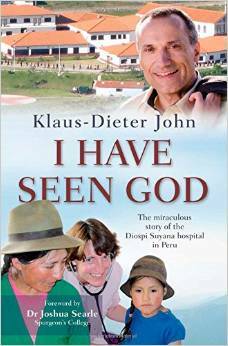 Klaus-Dieter and Martina John--both brilliant, talented, and highly qualified doctors--turned their backs on lucrative careers to follow their dream to open a first-rate medical facility for the Indians of the Peruvian Andes, some of the world's poorest people. 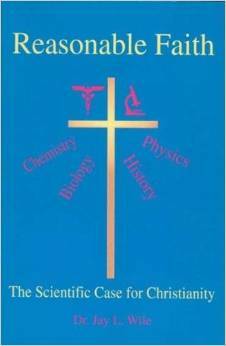 This concise, easy-to-read book gives a complete argument for the validity of the Christian faith. By highlighting the physical, chemical, and biological evidence indicating that the world was designed, the author demonstrates that science points unmistakably to the existence of God -- and not just any god, but the God of the Bible. This book contains powerful arguments that will challenge the non-Christian and bolster the faith of longtime believers.